Aboard a yacht, the pleasure living mainly outside. Special attention has been brought on the way of life on board. The deck spaces are dedicated to relax, cooking, reading, meals and tanning. Of various locations, to meet all together, or quietly enjoy the quiet and beautiful landscapes that surround you. a large refrigerator compartment, you can fill your guests with all facilities at your fingertips. annexes type and very varied dimensions. sports, while increasing the useful length of the cockpit. The mastery of space, careful attention to design and quality in every detail, such is the hallmark of the projects of Andrew Winch. Onboard the Jeanneau 64, each space was enhanced to offer onboard luxurious life. storage large and luxurious accessories. micro-the convection oven, and a lava wave-family dishes. specific, situated at the front or rear. the bridge, contemporary style, gives this large yacht a timeless charm. 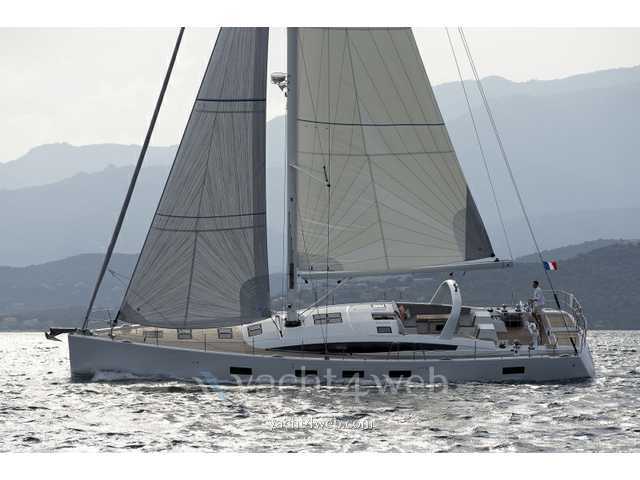 Each Yacht Jeanneau is designed to be the vessel of a marine and Jeanneau 64 is no exception. which incorporates a chine for more speed, stability and internal volume. Sailboats. Twin propellers and a powerful engine also provide a updated easy dock as well as a comfortable cruising speed.